CAPE CANAVERAL — A groundbreaking Friday ceremonially commenced construction of an astronaut access tower at United Launch Alliance’s Atlas 5 launch pad in Florida, a 200-foot-tall gantry that will add to the future of U.S. human spaceflight. Atlas 5 rockets will launch Boeing’s Crew Space Transportation-100 capsules starting in mid-2017, leading to NASA astronaut taxi missions to the International Space Station beginning at the end of 2017. The CST-100 and the SpaceX crewed Dragon spacecraft are the near-term answer to returning launches of people to the U.S. since retirement of the space shuttle orbiters in 2011. 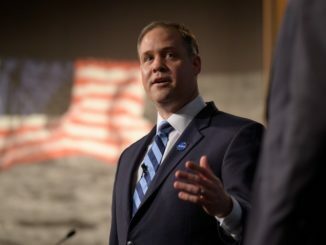 The commercial providers will service the low-Earth orbit destination for NASA astronauts under the space policy spelled out by President Obama, leaving the space agency to focus on deep-space with its Orion vehicles. “Today is a very important date in space history. It was 53 years ago today that John Glenn was the first American to orbit the Earth, launching on an Atlas rocket just a few miles from here,” said Jim Sponnick, vice president of Atlas and Delta Programs at ULA. The CST-100’s first two space missions will see an unpiloted test flight in April 2017 and a demo mission with a two-person crew in July 2017. The Atlas 5, having flown 52 times since its debut August 2002 in unmanned satellite-deployment missions, has carried out 19 flights dedicated to the Defense Department, 11 for NASA, 11 with spy satellites for the National Reconnaissance Office and 11 commercial missions with communications and Earth-observing spacecraft. “The Atlas 5, with unrivaled technical and schedule reliability, is the obvious choice for a commercial crew launch vehicle. We’ve had 52 successful launches, 100 percent mission success, and we’re really excited that Flight No. 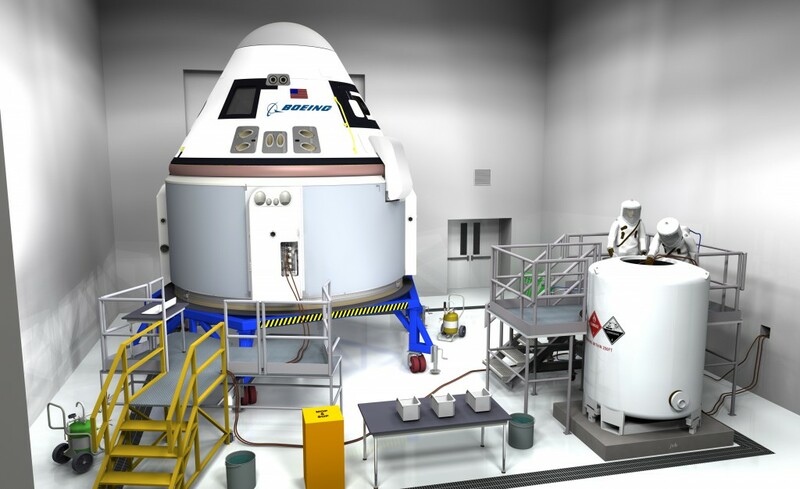 73 is going to have a CST-100 capsule,” said John Mulholland, vice president of Boeing commercial programs. The new crew access tower, positioned in the northwest corner of the launch pad, is being built in sections off-site and moved to Complex 41 in between ongoing Atlas launch activities for stacking. It will take 18 months to complete. “It’s really unique the way ULA is conducting all of the pad modifications here in the middle of one of the busiest manifests at any pad,” Mulholland said. Once built, the tower will stand 200 feet tall and feature an elevator to take personnel from the ground to the top, a slide-wire basket evacuation system for emergencies and a 42-foot-long swing arm at the 172-foot-level that will be the threshold to enter the capsules. The CST-100 is designed to transport up to seven passengers or a mix of crew and cargo to low-Earth orbit destinations such as the International Space Station and Bigelow’s planned commercial station. The capsules are designed to be reused up to 10 times. The vehicles, with a crew compartment and a service module, will be operated from a hub at Kennedy Space Center, using the former space shuttle processing hangar No. 3 to build and ready the capsules for flight. 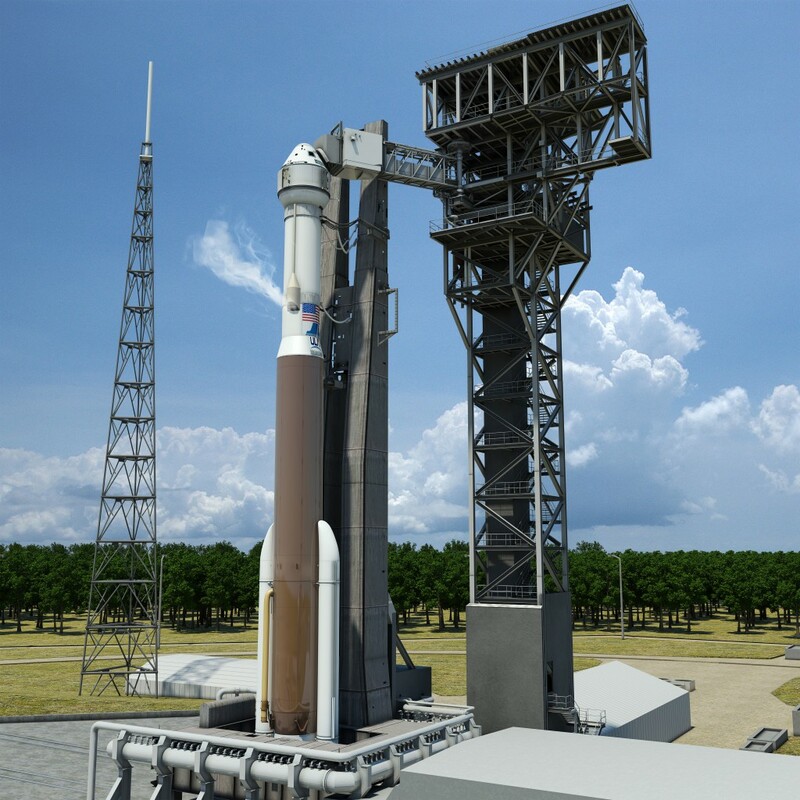 Atlas 5s will be assembled in the Vertical Integration Facility and then rolled out to the launch pad, spending minimal time in the “clean pad” concept of operations used by ULA at Complex 41. The rocket will fly in the man-rated 422 configuration, which is a two-stage launcher with a Common Core Booster powered by an RD-180 main engine, two strap-on Aerojet Rocketdyne solid-fuel boosters and a Centaur upper stage with dual RL10 engines also made by Aerojet Rocketdyne. NASA says it will soon pick a cadre of astronauts to begin training on both the Boeing and SpaceX vehicles. The actual first crewmwembers to fly them will come from the group. The remodeling of the KSC hangar is progressing ahead of arrival for the structural test article hardware and later this year the hardware for crewed flight test for assembly. Boeing engineers are finishing the design in preparation for the Critical Design Review in March that locks in the systems’ architecture and allows manufacturing to begin in earnest. Later this summer, the flight software will be completed and will power flight displays in the simulator for astronauts to practice. 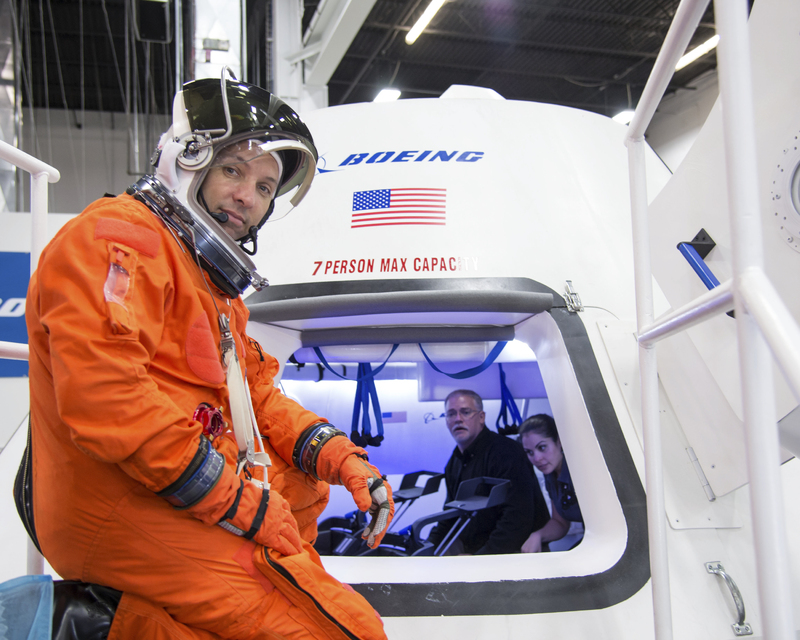 Eventual training simulators include a mission spacecraft for mock flight, an ingress/egress trainer and a water egress trainer at the Johnson Space Center in Houston. “It’s important that the spacecraft have manual controls. It’s designedly largely to be autonomous, but the pilot will always be there to back up the autonomy in case something happens. It’s sort of like a belt and suspenders for a spacecraft,” said Chris Ferguson, the final shuttle crew commander and now Boeing’s crew and mission operations director. 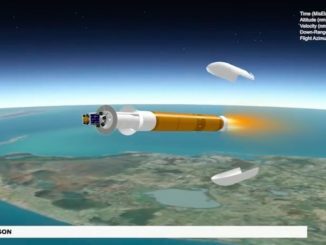 A launch pad abort test is planned for February 2017, followed in April by an uncrewed CST-100 flight to the International Space Station. The first crewed mission — featuring one Boeing test pilot and one NASA astronaut — is planned for July 2017. The first taxi services mission for NASA to the space station by Boeing is planned for December 2017. “I don’t ever want to write another check to Roscosmos after 2017, hopefully, that’s why I’m looking to (Boeing) and (SpaceX) to deliver. You heard both of them say they’ll be flying by 2017. If we can make that date, I’m a happy camper,” said NASA Administrator Charlie Bolden. “We are planning for a first day rendezvous. The capsule will then stay connected to station for six months as a lifeboat, then leave station and land within five-to-six hours. It’s a very similar profile to Soyuz,” said John Elbon, vice president and general manager for Boeing’s space exploration division. 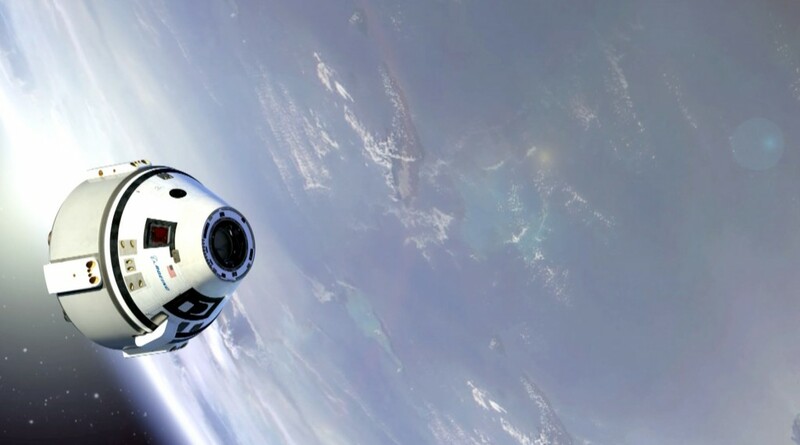 “The CST-100 capsule is designed to be used 10 times. 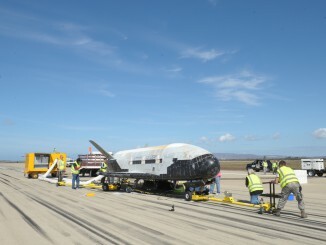 So we will recover it, refurbish it in the facility at KSC and fly it again,” said Elbon.